Please use the simple order form below to place your order. Choose the product you wish to purchase, enter a quantity amount, and click the "Add to Cart" button. You will be taken to your shopping cart where you can view your order. While there you can click the "Continue Shopping" button to come back to this page. After you have finished selecting the products you wish to purchase you will be asked to enter your shipping and credit card information. This is all done over a *Secure* server. Please do not hesitate to contact us if you have questions about our products or the ordering process. There is a minimum 3 jars per order. Mix and match or 3 of a kind. Thank you. 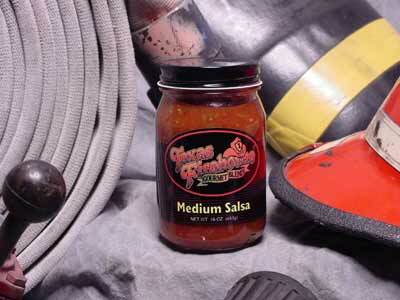 In case of Emergency - Open Jar! Made with 100% natural ingredients. 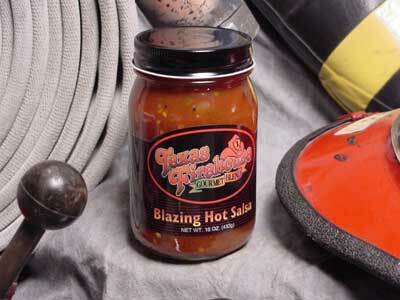 Rio Grande hand selected ripe, red tomatoes and plump, juicy jalapeños with four distinctive fire power levels. Perfect for sprucing up all your favorite family recipes and healthy snacking for the young 'uns. For those that like a little more zesty flavoring that's sure to please the palate. This is for you folks that like to surprise your innards with a fiery thrust. A tasty jolt! Watch Out! 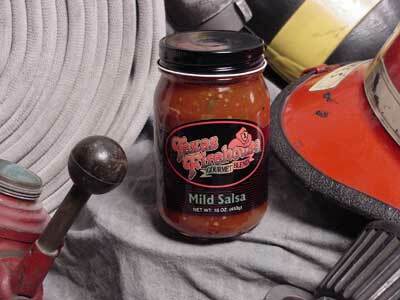 This Award Winner sounds the alarm, blazing a trail of habañero peppers down to the tip of your toes. 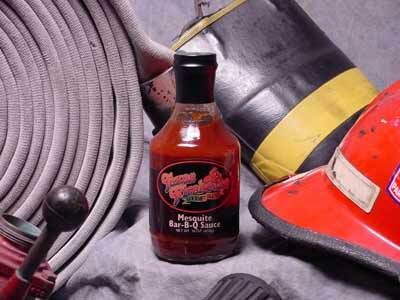 mmmm...jalapeños, habañeros, chipotles and more give our Texas Firehouse Bar-B-Que sauces that true tangy "Texas Taste"! 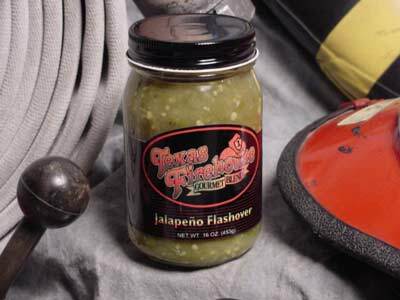 A scrumptious blend of mesquite roasted red & green jalapeños enrich the smoky flavor of this hearty sauce. National Award Winner! 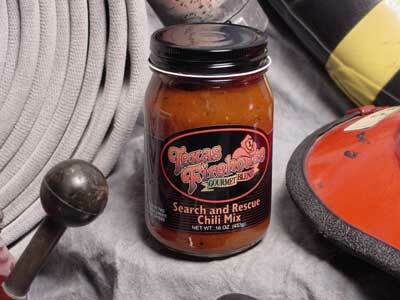 An old family recipe that enhances the flavor of all your beef, pork, fish or poultry dishes. A tad of brown sugar and honey for a sweet boost. Finger licking good! 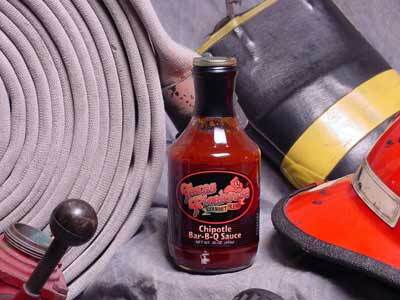 This Award Winning smoky, sweet sauce has an added "kick" of habañero, serrano, and chipotle peppers guaranteed to sound your alarm and get your taste buds fully involved! 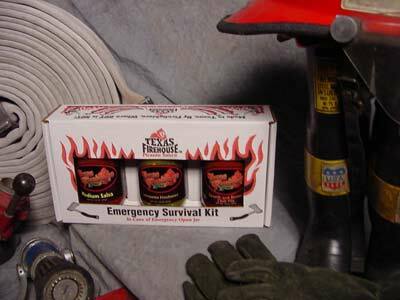 If you have been searching for that perfect pot of chili, you've just been rescued! 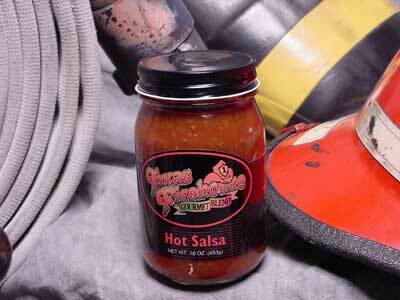 A favorite among firefighters here in Corpus Christi, Texas. 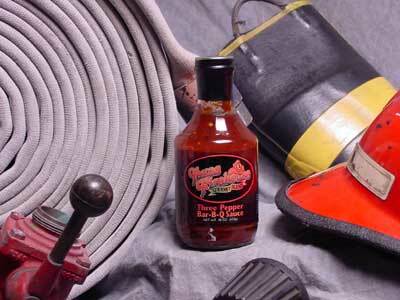 This Award Winning liquid concentrate chili mix of tomato sauce and special spices brings out the flavor of the meat like never before. Easy to follow directions on the jar. Enjoy the flavor of the freshest red and green jalapeños blended with onions, garlic and lime juice. Truly a mouth watering sensation. Sure to earn a spot right next to the salt and pepper on your kitchen table.